Agri - NIR coatings- Kriya Materials | Make what's good better, together! Near Infra Red (NIR) hard coat is a solvent based, inorganic, thermal curable coating which can be applied directly on glass via typical glass coating machines. 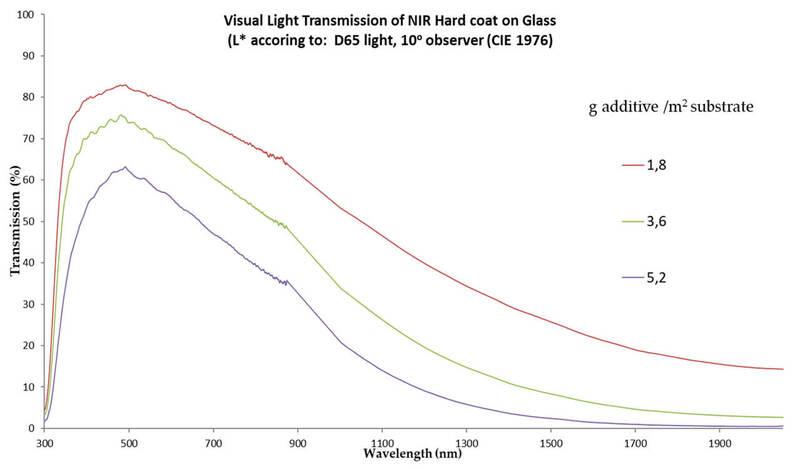 This coating combines high transparency with excellent solar blocking properties, in this way keeping the transmission of the Photosynthetically active radiation (PAR)as high as possible. Since the Infrared light is filtered out by absorption, the inside of a greenhouse is heated less which lowers the need for cooling. Upon request, the amount of heat management can be adapted.